The National Hemp Association is primarily an all-volunteer organization with limited staff and volunteers who have become essential in the successful operation of the Association. Below are the people behind the scenes to help make NHA the best resource around. Thank you! 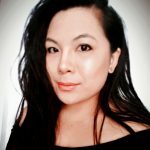 Anna Chanthavongseng – Assistant Executive Director – Anna is an early childhood educator who teaches and implements kinesthetic and nature-based learning to young children. Her love for sustainability and nature brought her to her first hempcrete workshop in Robesonia, PA in the year 2015. Since learning more about the plant she has been sharing knowledge about the diverse crop through her personal social media pages and with some graphics work. She continues to learn and spread awareness about the plant by attending hemp focused events and promoting businesses and manufacturers in the industry. Her hobbies include the arts such as creating, painting, DIYing, and cooking. 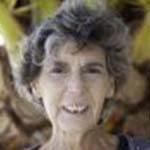 She sees a promising future with hemp in our country and looks forward to working with it. 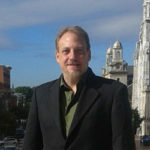 Les Stark – Social Media Volunteer – Les is a Pennsylvania hemp historian who has spent thousands of hours researching the historic Pennsylvania hemp industry. He has documented the existence of hundreds of hemp mills throughout the state and uncovered an epic tale of the days when nearly every farmer in the state grew hemp. Since 1997 he has been teaching this information to farmers, farm organizations, historical societies, community groups, the media, legislators and the general public. He is the author of Hempstone Heritage I and intends to publish an additional 600 pages of his research which will tell the full story of great historic Pa. hemp industry. Although he has a deep passion for history, his true passion is in helping to rebuild the hemp industry. Amber MacPherson – Social Media Volunteer – Amber MacPherson is an academic research science professional, adventurer, writer, aspiring film maker, and environmentalist who is interested in the role hemp can play in a sustainable future. When she isn’t in the lab, she is running, teaching skiing, writing, or working to build Makeshift Film Group, the company she shares with her husband. She is excited to be able to help the hemp industry expand for the benefit of us all. 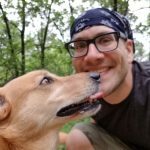 Matt Pederson – Social Medial Volunteer – Matt is an avid hiker and former IT professional. Matt’s passion for hemp has motivated his family into moving to Colorado, where he plans to continue his involvement in the cannabis industry professionally. He has spent many years researching the numerous benefits of hemp and cannabis. Over the years he has used social media platforms like Twitter and blogging to help spread awareness of hemp’s incredible history and uses. He greatly enjoys helping others while finding ways to be involved in the organic cannabis industry locally and online. 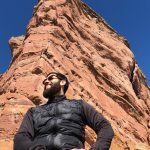 Dulian Navarro – Blog Writer/Social Media Volunteer – A native of Miami, Florida who’s love for the great outdoors prompted his migration from the sandy shores to the granite peaks in Colorado. A self-taught naturalist and advocate for cannabis re-education, he spends much of his free time outdoors taking in the sights and sounds of the surrounding Rocky Mountains. He resides with his lovely partner and their 2 dogs. He enjoys fiddling around with his father’s old acoustic guitar, while staying active through physical training and outdoor sports. Constantly, utilizing hours of research to creatively create content based on hemp for the masses. He feels as if the world is on the verge of a great shift towards sustainability and environmentally-friendly practices and products with hemp up at the forefront. Jennifer Liske– Volunteer – As the former owner of a brick and mortar business in the upholstery industry, Jen brings 20+ years in sales, client service, consulting, and management experience. Her love for business, has given her a broad array of areas of expertise, including warehouse work, wholesale and procurement research. 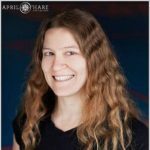 She is currently freelancing in several areas, including website design, some copywriting, and the craft of Internet/web research specialist, which she loves. 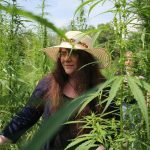 This next phase of her life is being devoted to industrial hemp, all she can learn about it, and to support the progression and diversity of the industry as well as the plant itself. She looks forward to her journey, along with helping the restoration of a self sustaining America that will come with this plant and it’s endless possibilities, with a focus on fiber uses and possibilities. She brings her love, focus and know how of building things and processes from the ground up, along with a high adaptability to change. Traits that are attributable to these ‘growing pains’ (no pun intended) that are currently the American Hemp Industry. As an avid Detroit Tigers fan, she can be found taking in games during the season. She loves listening to music, reading, walking, or just being a bum in the sun, soaking up the rays.